A large chunk of urban dwellers like me cooped inside high-rise apartments are always on the lookout for an outdoor access where a mini garden can be made, giving the eyes a dose of greenery. 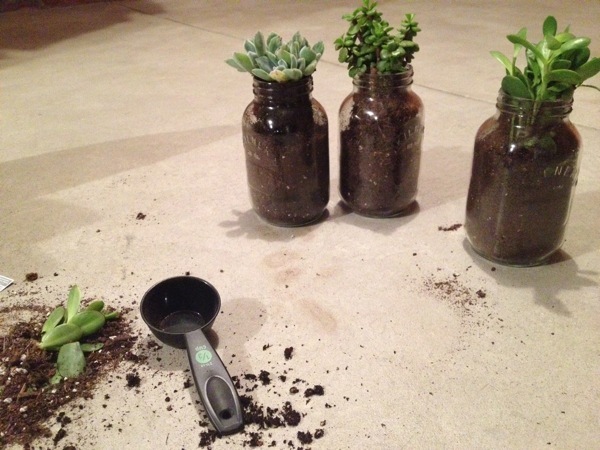 For some reason, store-bought plastic planters have just not been able to fulfill my desire to grow plants. 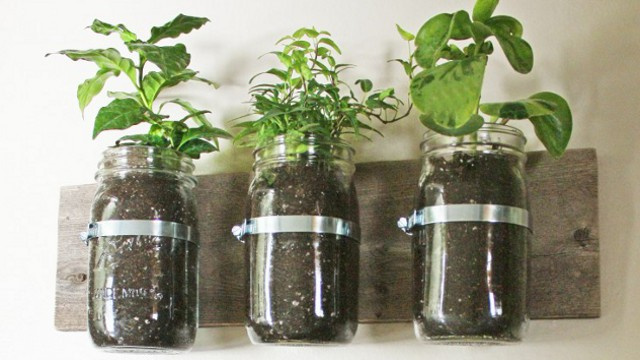 Surprisingly, while browsing for an environment-friendly alternative, I chanced upon a tutorial on Rental Revival that motivated me to keep my green thumb alive. Read on to know more. 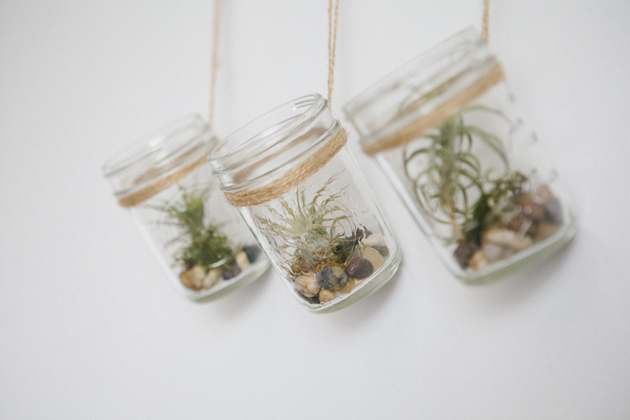 Using the ever-versatile mason jars, the project was immense fun and less time-consuming. 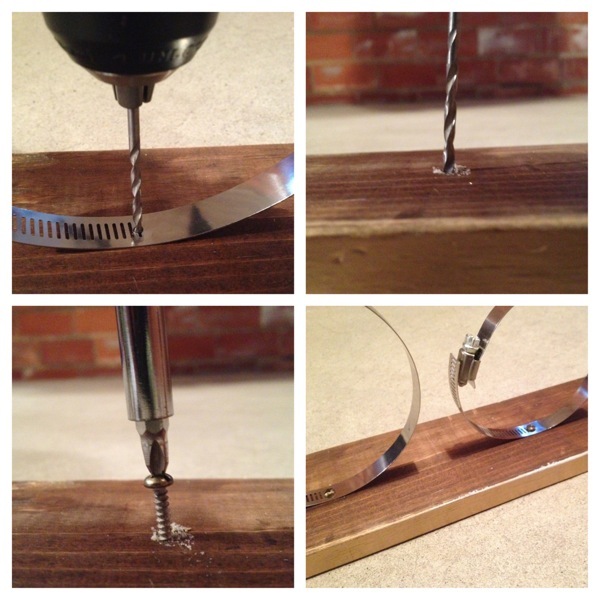 Drill a small hole into the clamp placed on the wooden board, and insert a screw. Repeat the process for the other two clamps. 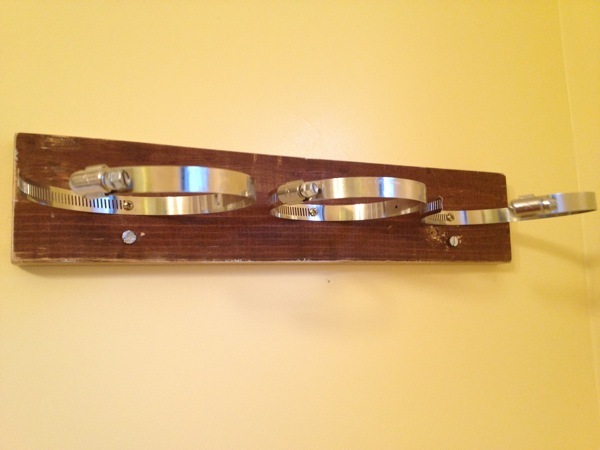 Make two holes on both the sides of the board with the drill, and then screw it to the wall. Hold the jar in position and begin tightening the clamp. 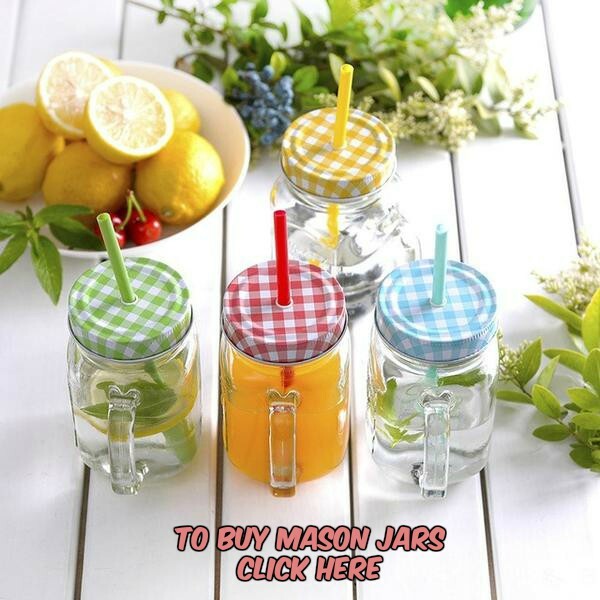 Fit the other two jars in a similar way and make sure all are securely held. The gardening enthusiast in me awoke once again as I stood still for a while admiring the mini-flora beauty up on the wall. The luscious herbs grown in the planters would soon be the next cooking ingredients for your healthy meals. 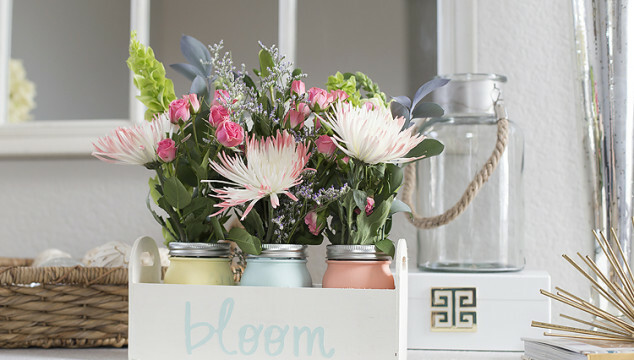 Add a pop of color to the mason jar flower planters by giving few paint strokes to the jars. Placed on a rustic wood box the painted planters are all ready to welcome the spring. If you want to spare yourself from the hassle of drilling, then tie a twine around the jar, and suspend it from a hook attached to the walls. 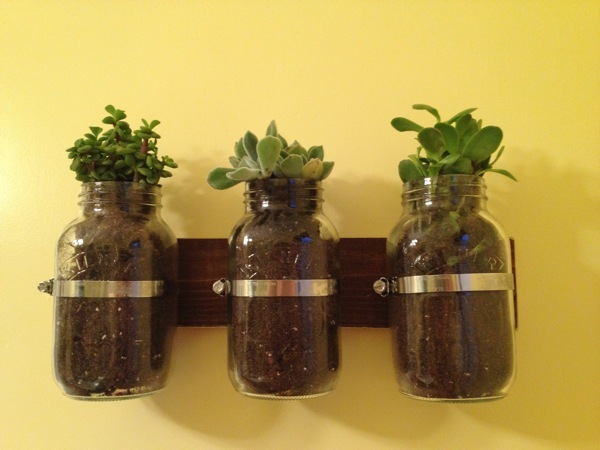 Don’t you want to plant your favorite spice in these mason jar hanging planters? Not just decking the walls, the planters make impeccable centerpieces glorifying your interior space with verdant flavors and colorful blooms. 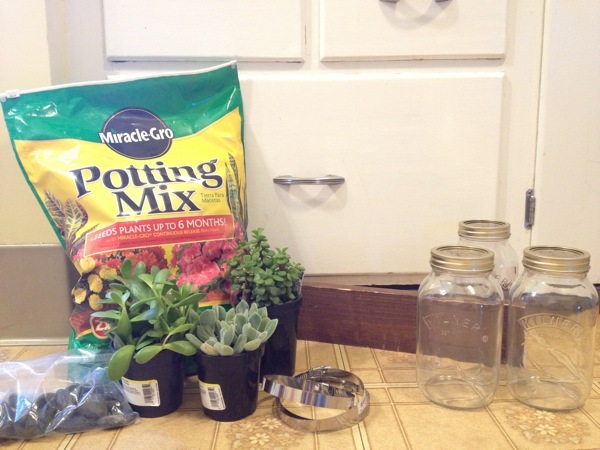 So get ready with the supplies and go on a mini gardening spree.